Kolkata : A 4-year-old girl alleged sexual harassment by a school teacher on Thursday. The girl is being treated at a hospital in Kolkata. The cops have detained girl's physical education trainer. He is being quizzed over the allegations made by the girl. 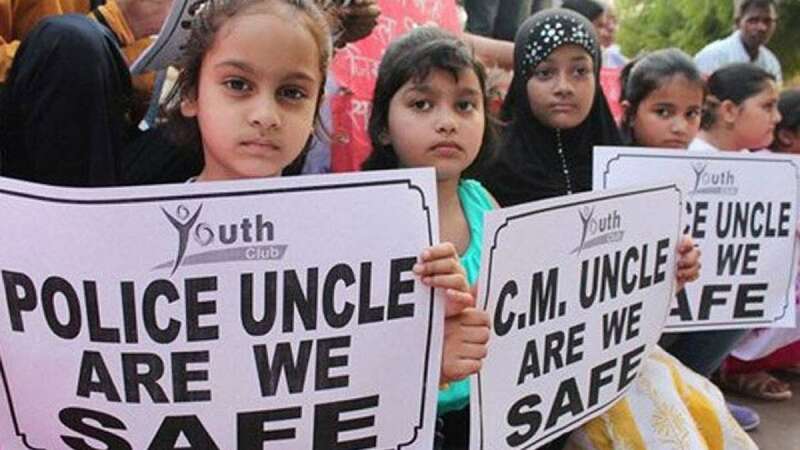 Parents of the victim girl and other students demonstrated a controlled protest outside school raising concern over safety of the kids. They also raised questions over the appointment of a male teacher in all-girls school. The parents alleged that no cameras are working in the school. According the complaint filed in this case, the minor alleged that the physical education teacher abused her in the school toilet. The incident came to light when the girl's mother noticed blood stains on her clothes while picking her up from school around 4pm. The girl was crying and complained of pain. Upon physical examination, parents found out sexual exploitation and instantly filed a complaint at a nearby police station.